The Shivaji Nagar area in the M-Ward of the Brihan Mumbai Municipal Area comprises other neighbourhoods (including Rafiq Nagar, Baba Nagar, Lotus Colony, Gajanand and Baiganwadi). The area grew in the 1980s around the abattoir and Mumbai’s dumping ground which were given over to resettlement projects of the city and the state. Slum dwellers from Matunga Labour Camp were moved there in 1968. Additional neighbourhoods within the area were registered officially in 1982. The entire area is 135 hectares out of which half has a grid layout (69 hectares) and the other half (64 hectares) is “organic”, meaning that it was developed outside of any plan. In the last 30 years shops, educational institutions, religious structures have developed in the area and several parts of the neighbourhood are full of commercial activity. While some parts are well developed with “pucca” houses, others are still in bad shape, especially near the dumping ground. Yet, there is a strong collective drive towards reinvestment in housing that has improved the area in successive waves. The area is diverse and includes migrant communities from Maharashtra, Uttar Pradesh, Bengal and Gujarat (both Hindus and Muslims). The proportion of Muslim community is significant and the area is said to have 101 mosques and madrasas (most of which are Sunni and Tablighi). The area has one of the most dynamic construction market in the city. Every year the maintenance and reconstruction of its nearly 50,000 structures are serviced by 43 construction material shops, which provide standard products such as bricks, cement, I-beams and so on. Dozens of local contractors build and repair about well over a 2000 homes a year. Houses built in the gridded area are typically 10×15 feet (3×4.6 meters) and go up to two floors above ground. In the organic area, houses tend to be a smaller in floor area and height. The physical and population density of the area is very high. Yet its still has a vast potential for growth and improvement. Many residents have occupancy rights and the neigbhourhood is built on government land sanctioned specifically for resettling the present residents who have come from different areas in the city. 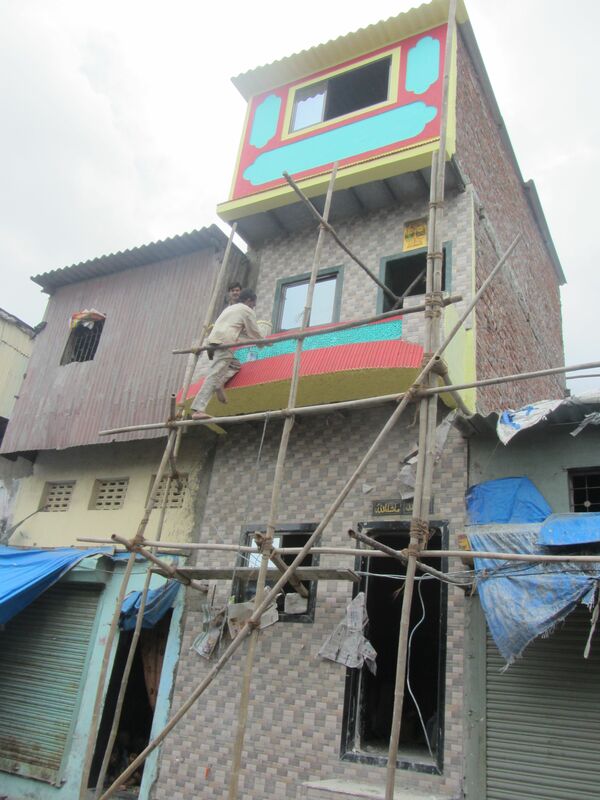 Shivaji Nagar is not technically or legally speaking a “slum” but a planned resettlement colony. Some parts within the area have greater instability because they sit on officially demarcated dumping grounds on the Mumbai Development Plan. Also the proposed city’s Metro project phase 2 is planned to pass near the area. This might also cause the eradication of another settlement. While residents may live here and work elsewhere, this neighbourhood also shows a high level of its own economic activities. These include rag picking , embroidery (jari), tailoring, shops, carpentry, construction, and other small-scale industrial work comprise its main economic fabric. 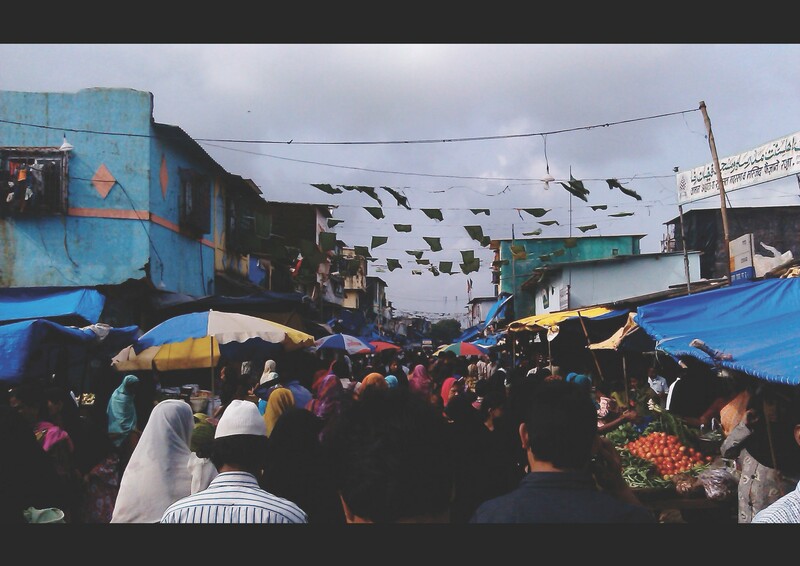 Exploring the visual anatomy of Dharavi's fishing village.